Mesh roof safety fence covers are designed to fasten directly to roof safety rails or roof safety barrier systems around the perimeter of the roof. They safely prevent debris from blowing off a rooftop job site while displaying company colours. Designed to fit standard height temporary roof fence or roof safety railings. Roof safety rail covers are durable and re-usable - the perfect compliment to any roof guardrail system. 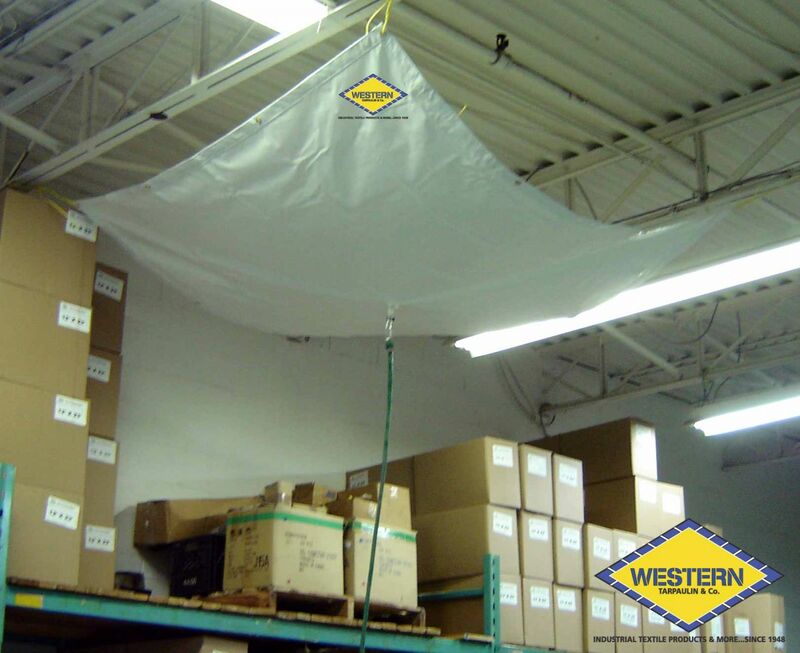 Mesh Safety Fence Tarps are always a Stock Item – shipping nationwide to your location or direct to jobsite. Ask us about adding a simple stencil or full colour logo banners to your safety fence! - The perfect way to advertise on a prominent jobsite. - Extremely durable and re-usable, take from jobsite to jobsite. See more examples on our graphics page.